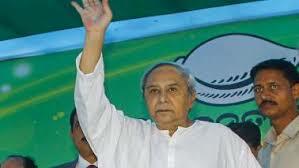 Bhubaneswar: Biju Janata Dal (BJD) president and Chief Minister Naveen Patnaik will visit Bijepur, his second constituency in Bargarh district to campaign for the party candidates in the Assembly and Lok Sabha elections. Patnaik is scheduled to hold roadshows and public meetings at Barpali, Bijepur and Gaisilit in the western Odisha district. Bargarh Lok Sabha constituency goes to poll in the second-phase elections on April 18. Meanwhile, Patnaik held roadshows and addressed public rallies in Nayagarh, Kandhamal, Ganjam, Gajapati and many other areas where elections will be held in the second phase on April 18.